Back in December, T-Mobile announced AT&T customers would get a free year of DIRECTV NOW if they switched to the T-Mobile ONE plan. As DIRECTV NOW is, in the words of the press release, "a complete disaster," T-Mobile has now amended that to a free year of Hulu as well. DIRECTV NOW looks great on paper, but quite clearly it hasn't worked out that way in practice. It's been beset by issues, including regular errors and, from the sounds of things, a generally broken service, although it is distinctly possible there is some use of exaggeration in play. Here's what T-Mobile CEO and notorious troll John Legere had to say on the subject: “It turns out DIRECTV NOW is barely watchable, but we’ve got our customers’ backs! So, every former AT&T customer who took us up on our offer now gets a free year of Hulu on us – and they get to enjoy it on a faster, more advanced network with unlimited data!” Legere has also said on Twitter that customers can choose to keep DIRECTV NOW if they so wish. This probably works quite nicely into T-Mobile's hands, seeing as DIRECTV NOW is owned by AT&T. Always good for the Un-carrier to have an extra bullet in their gun when dissing its competitors, right? The press release is written in T-Mobile's jokey, off-the-cuff style, so it's implied that the company is secretly quite pleased about the whole debacle. AT&T customers who signed up for the deal will get a notification from T-Mobile in the coming weeks with a code for a free year of Hulu. 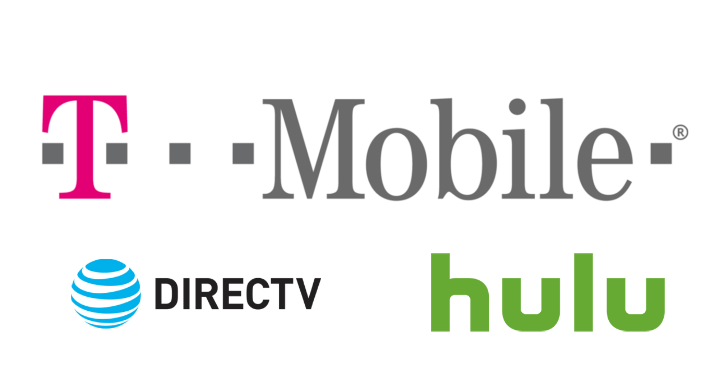 T-Mobile (NASDAQ: TMUS) today announced they are giving a free year of Hulu to every AT&T customer who switched to the Un-carrier for a free year of DIRECTV NOW …. Because, well, as the New York Post put it, DIRECTV NOW is “a total disaster.” And as The Verge said, the streaming service “appears to be a complete mess” and “users report constant errors and a near-unusable service.” And as Tom’s Guide noted, AT&T’s over-the-top app is “sluggish, buggy and sometimes broken” and “not ready for prime time.” And, well, you get the idea. So, to make things right for those new T-Mobile customers, the Un-carrier is giving everyone who participated in this deal a free year of Hulu – an awesome streaming service that actually works – on top of their free year of DIRECTV NOW. T-Mobile customers love streaming video. In fact, they stream twice as much as the carrier customers. And who can blame them! When you have unlimited high-speed data – and you don’t have to share with everyone else in the family – you can watch without limits. Every former AT&T customer who signed up for a free year of DIRECTV NOW will receive a notification from T-Mobile in the coming weeks with a unique code good for a free year of Hulu Limited Commercials service.